In Japan, you may have chanced upon crowds in yukata, seen rows of street food (even bought from them! ), or wondered at a slow procession in ornate costumes. That may have just been a matsuri (祭), a local festival. 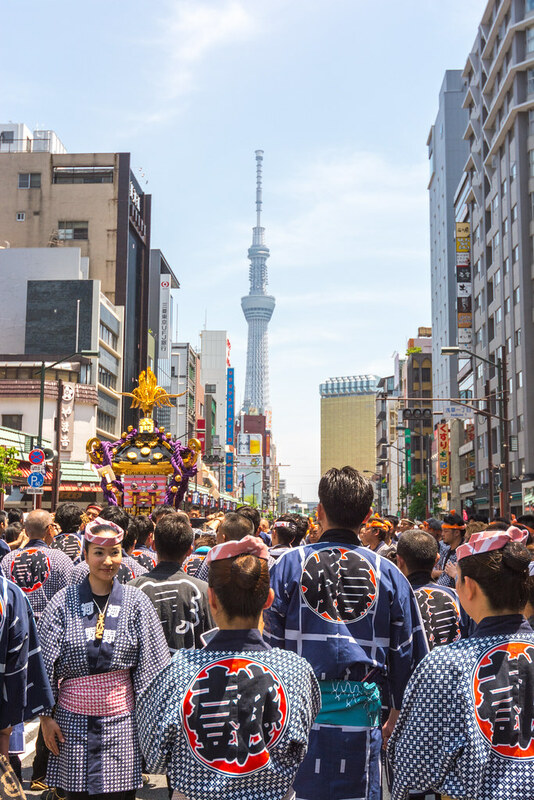 But what is MATSURI (祭)? 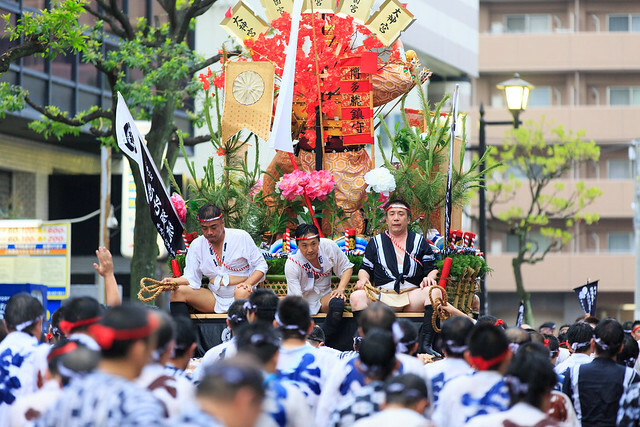 Contrary to popular belief, a matsuri is not only held in the summer but is traditionally related to the season it is held in. While summer festivals are the most popular and well known, festivals are actually held throughout the year! Following its roots in the Shinto and Shinto-Buddhist beliefs, some festivals also celebrate the seasonal solstices and harvests. However, each festival has a different meaning and celebration theme, so no two festivals are the same! 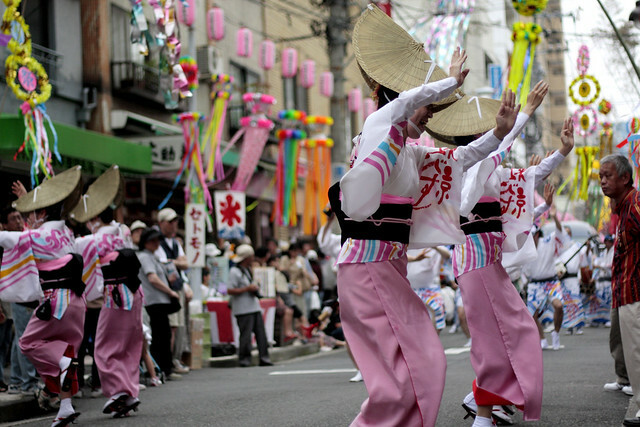 These festivals are also location-specific, meaning that you can only experience them at certain areas in Japan. During this festival, the whole city of Sendai is decorated with many ornaments made from bamboo and paper. These decorations represent prayers for good health, prosperity, good harvests, and academic success. The Sapporo Yuki Matsuri is a week-long festival happening in the month of February. Teams from all over the world compete for the best statue in the International Snow Statue Contest. You definitely have to be there to appreciate the beauty of these gigantic snow sculptures. Who wouldn’t want to watch wet, nearly naked men wrestling in the cold for a pair of sticks? This festival is almost illegal except it’s a 500 year tradition, and is celebrated all over Japan with different variations on the third Saturday of February. The lucky person who manages to grab the sticks is said to receive good luck for a year. Every year on a particular day in April, at the Sensoji Temple, a festival is celebrated for babies. Sumo wrestlers hold the babies in the air and scare them into crying, and the infant winner is one who cries the longest and loudest. This ritual is believed to ward off evil spirits and keeps the children in good health. Parents can bring their babies to the contest of their free will, so you could even participate if you want! 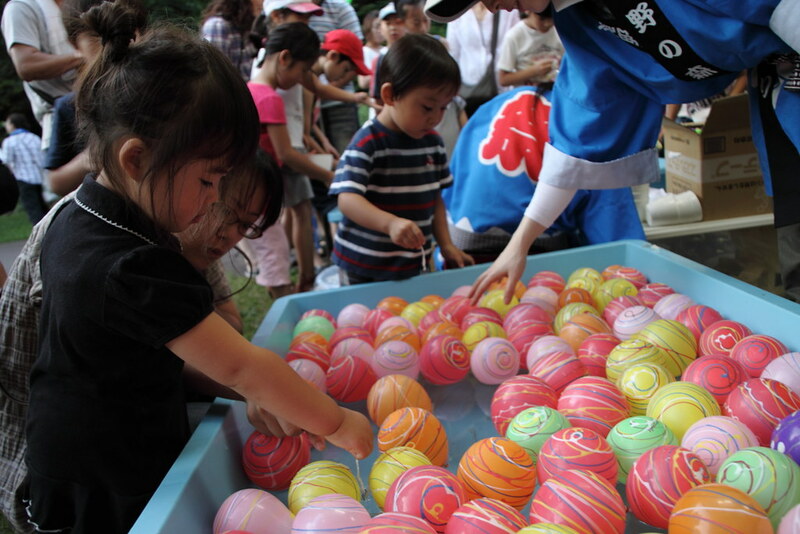 So… what goes on at Japanese festivals and how to enjoy? 1. Watch some performances at the matsuri! You may catch some exciting performances, or a procession of people clad in ancient costumes. 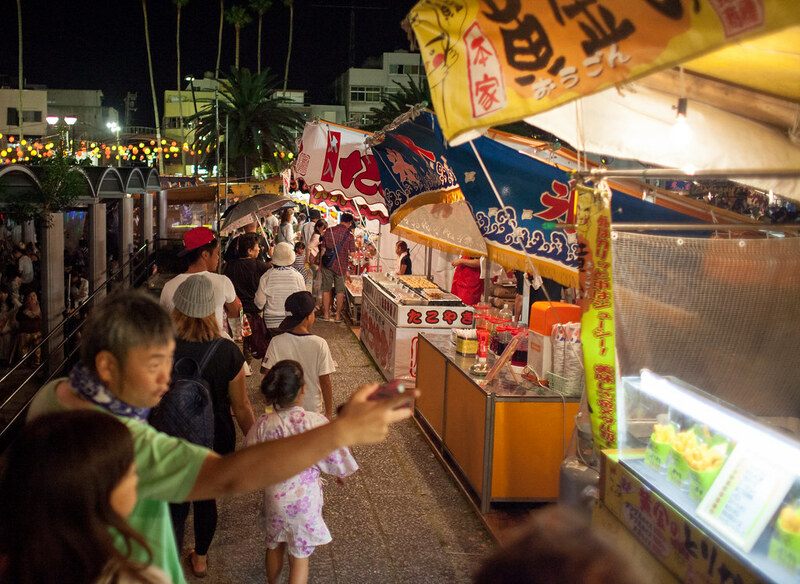 You’ll be spoiled for choice, from savoury food like yakisoba (fried noodles), takoyaki and yakitori to sweet snacks like choco-banana, kakigoori (かき氷, shaved ice) and, best of all, dango (だんご, rice dumplings). 3. 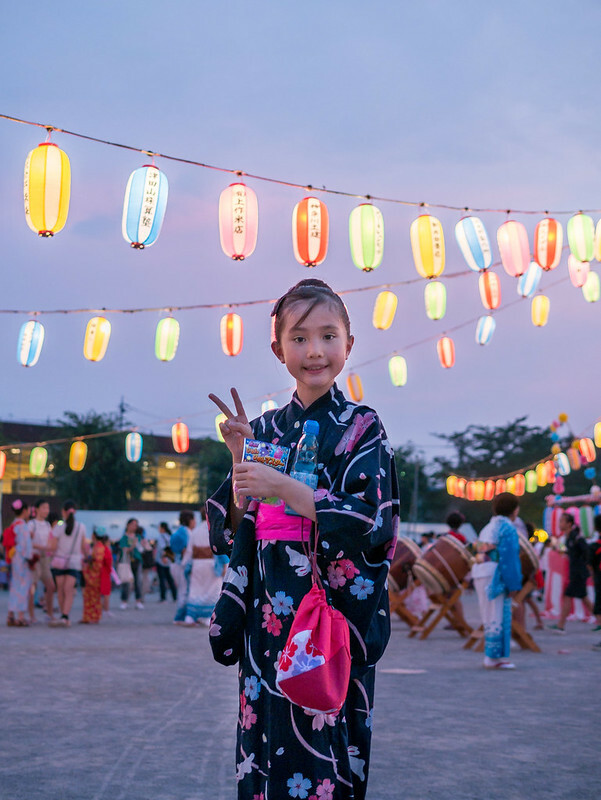 Wear yukata and mingle with the crowd. Amp up the atmosphere by dressing up in Japanese summer wear. Or, see if you can spot people in traditional matsuri wear. 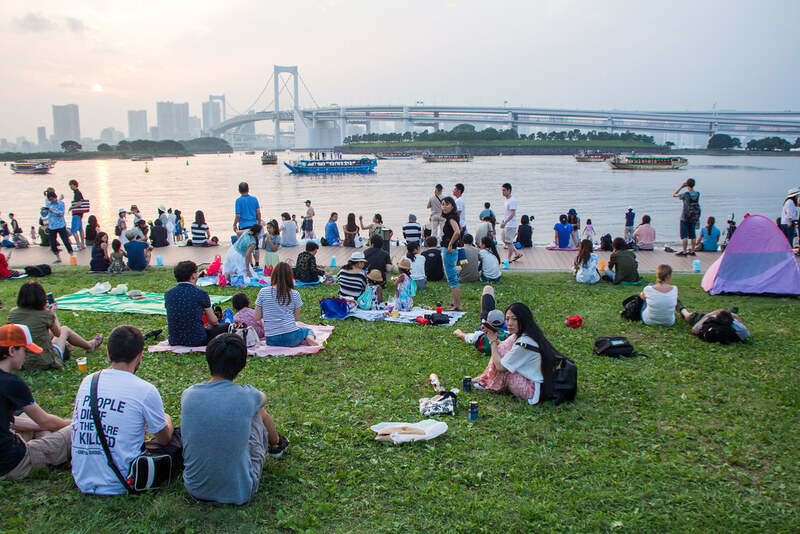 From shooting games to yoyo-tsuri (yo-yo fishing), there are many prizes to be won! 5. Go with family and/or friends! Possibly the best part is to enjoy the time spent with your loved ones. Next articleHANABI: Light up the sky! In love with manga and anime, and distracted by all the bakeries in Japan's train station. And cat cafes.